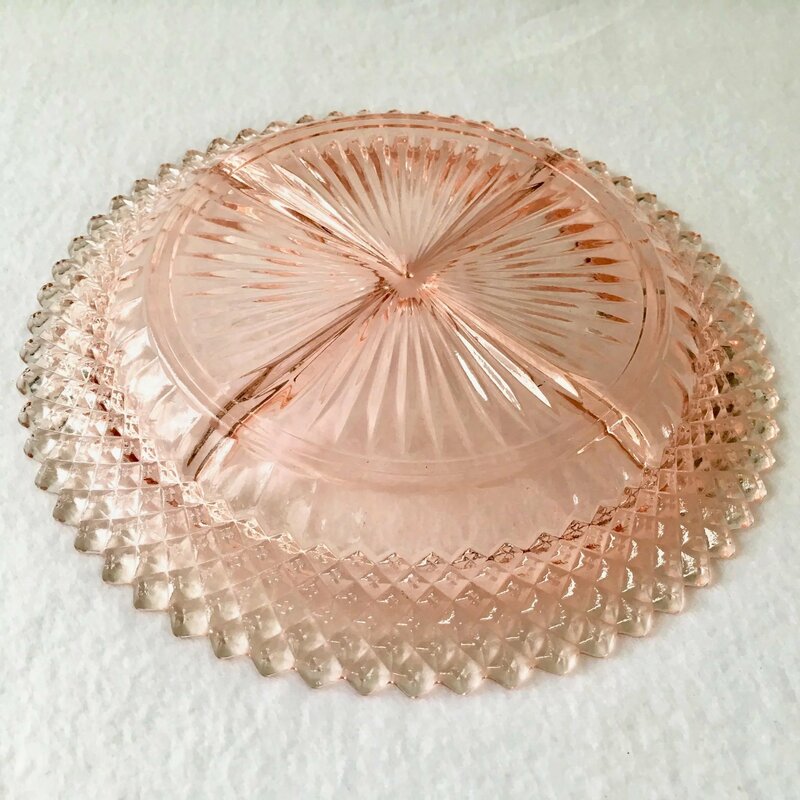 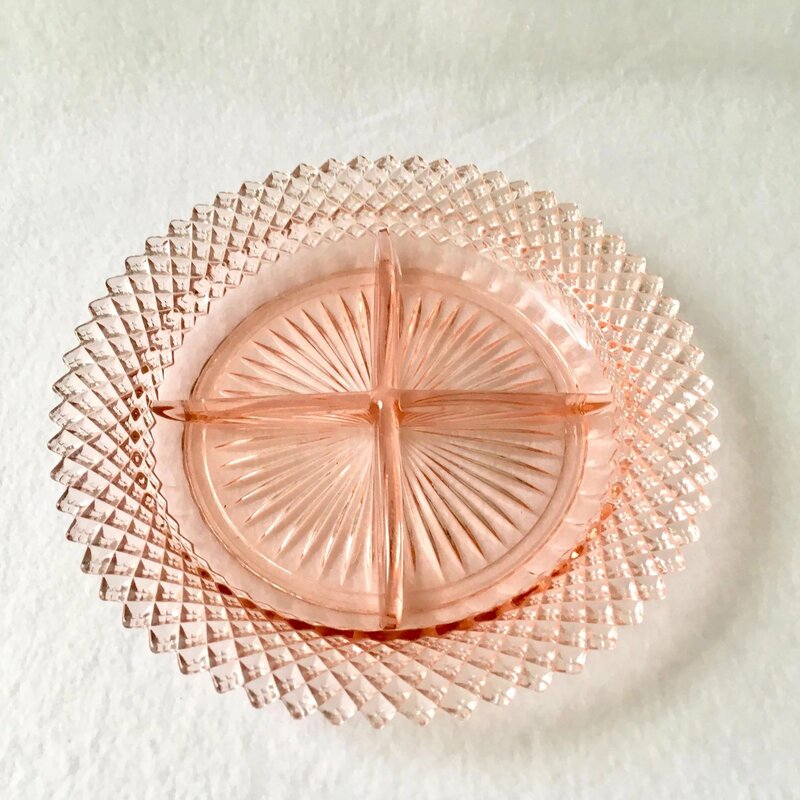 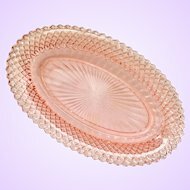 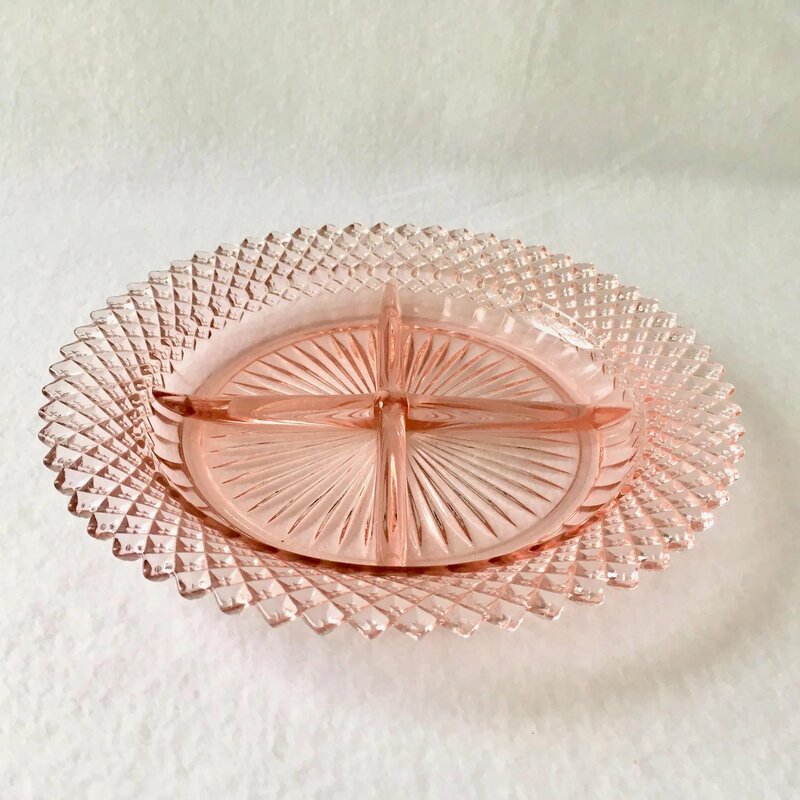 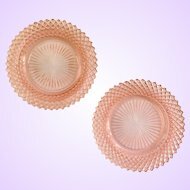 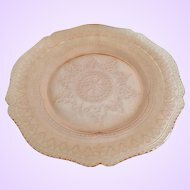 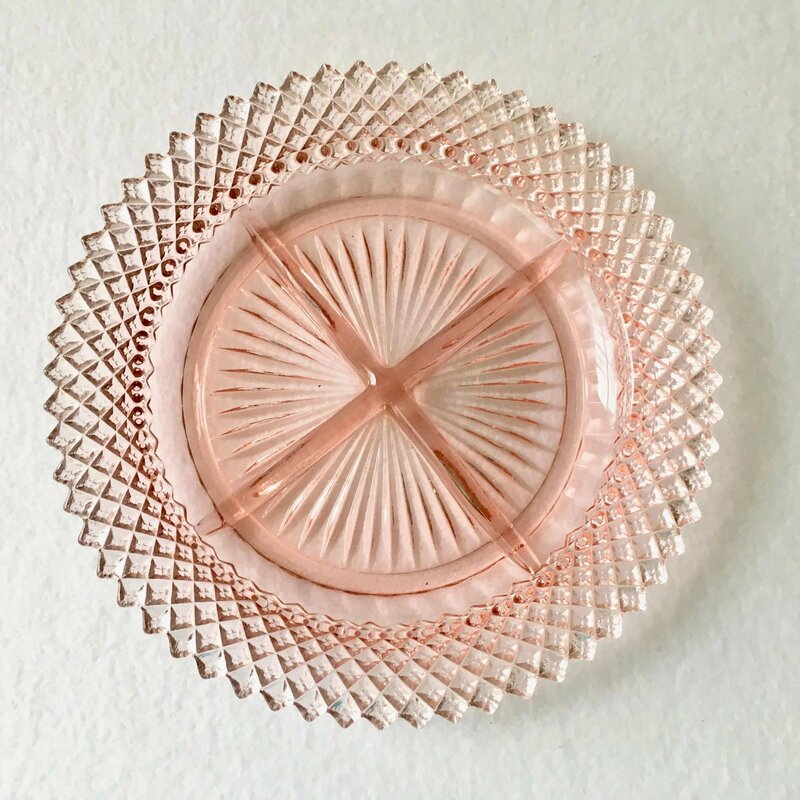 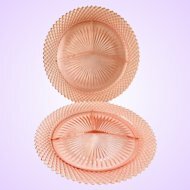 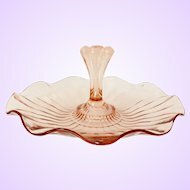 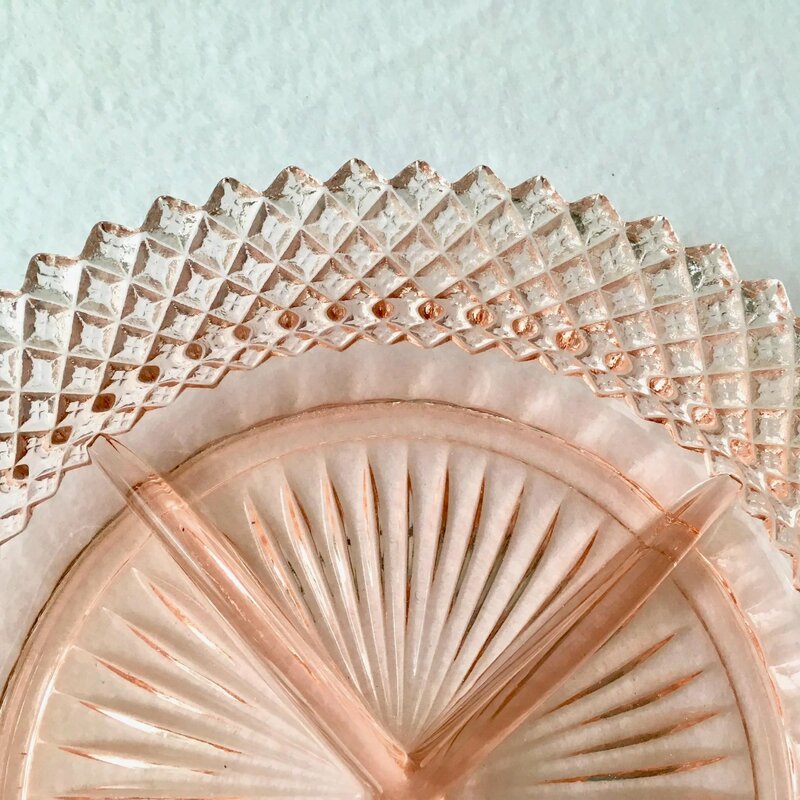 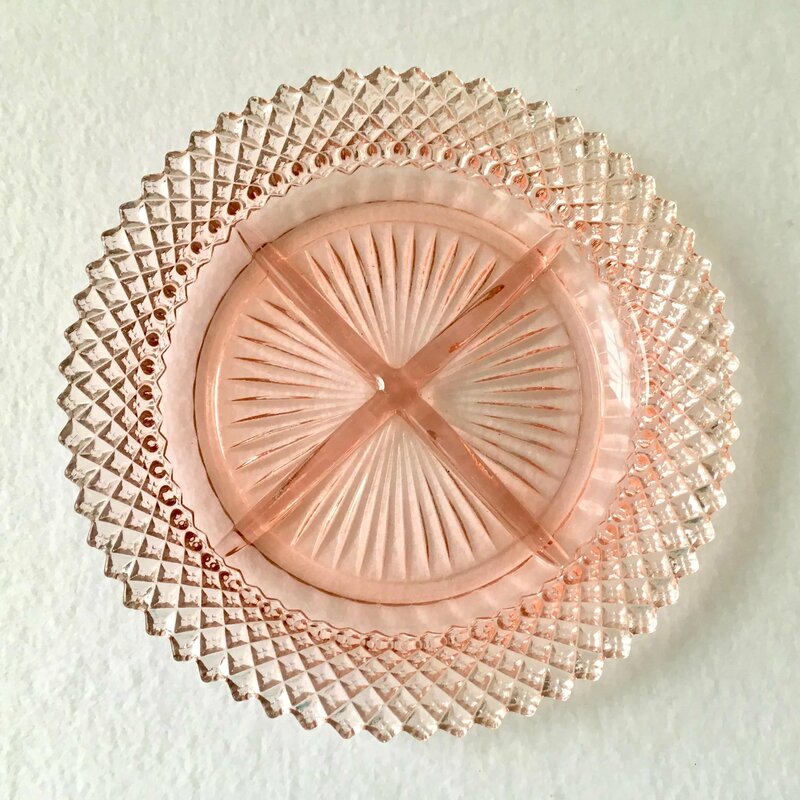 These Miss America Pink Depression Glass Divided Relish Plates by Hocking are a lucky find. 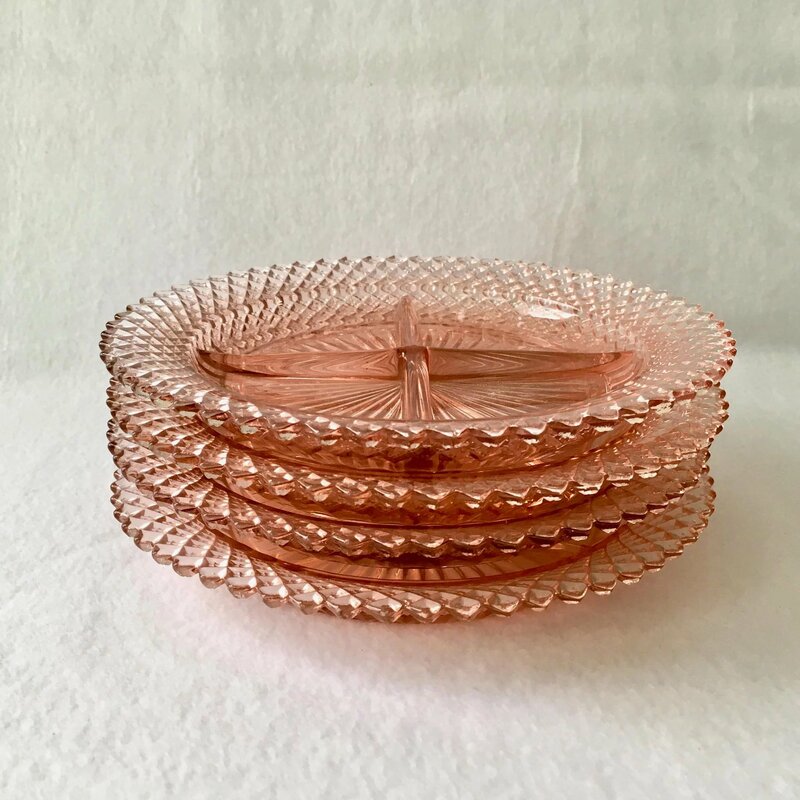 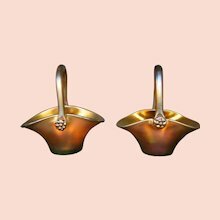 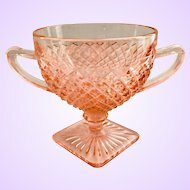 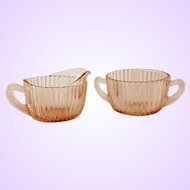 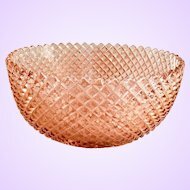 The pretty Diamond Pattern of Miss America is one of the most popular Depression Glass patterns, with its rows of hobnail diamonds and rays in the bottom of each bowl giving it plenty of angles for the light to reflect and bounce. 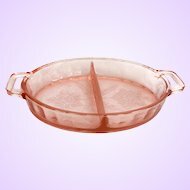 The four-part relish, like most of the serving pieces, is one of the pieces that has become more difficult to find. 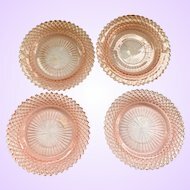 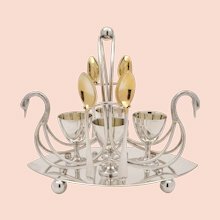 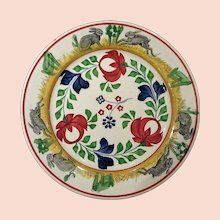 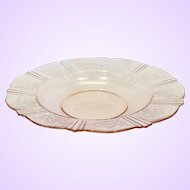 Each divided dish	measures 8-3/4 inches in diameter and 1-1/8 inches tall. 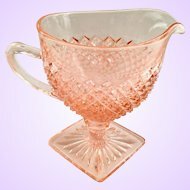 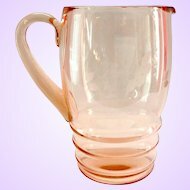 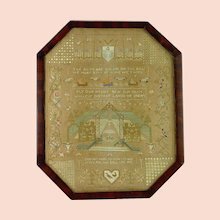 Production of this unmarked pattern, from 1935 to 1938, spanned the 1937 merger that changed Hocking to Anchor Hocking Glass. 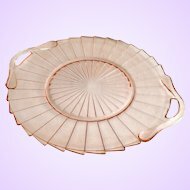 Other than some slight roughness along the mold seam on the underside, there is no damage. 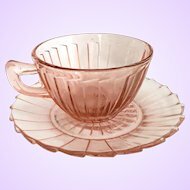 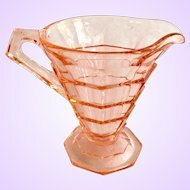 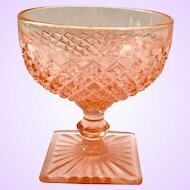 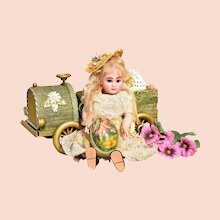 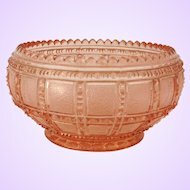 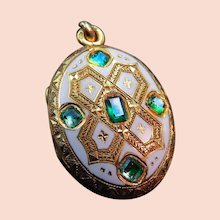 Any of the other expected flaws characteristic of Depression Era Glass, such as bubbles or other irregularities, are not obvious.